We wrote back in May that Amazon might actually be the dark horse challenger to become the third platform in the mobile ecosystem, as they continue to expand their hardware offerings and cloud-based services. Today GigaOm is reporting that Amazon has made another large investment into the mobile field, with the purchase of 3D mapping startup UpNext. UpNext provides app for Android and iOS that supplies detailed 3D maps that cover 50 U.S. cities, with “enhanced details” for nearly half of them. UpNext has also partnered with the NFL to provide Super Bowl guides that include 3D maps of the football stadiums and surrounding areas for fans to use. Amazon is reported to have offered UpNext’s stake holders a five-fold return on their investment to buy them out, and the deal will include moving the UpNext team to Seattle to head up Amazon’s core mapping efforts. Presumably we will see the results of this purchase on future Kindle Fire tablets, but given the importance of mapping software to phones we think this strengthens the likelihood that we’ll see an Amazon phone in the not-so-distant-future. To get a feel for what their mapping solution may look like, you can watch the demo video for UpNext’s current apps below. Lame. They are way to late in the mapping game. 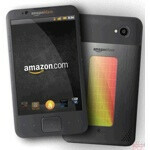 Hmmm, Amazon should buy Blackberry and get BB10 out the door. Especially since Google has declared war on the Android front with the Nexus tablet. THAT would make sense, especially if this time next year BB10 is delayed again or a flop out of the gate, making RIM even weaker or outright helpless. With BBM, their secure systems, and a focused/deep pocketed owner with Amazon's resources, that might make for a very strong marriage. Boy, Amazon would be a monster if they got a serious Mobile presence.